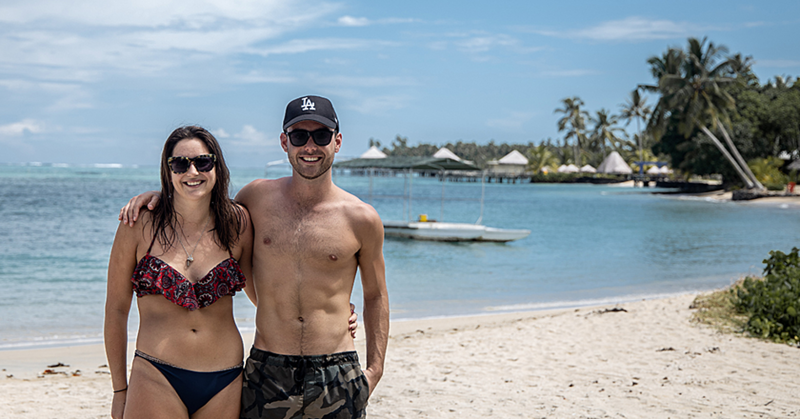 Prime Minister Tuilaepa Sailele Malielegaoi might be the man driving the nation, but Papali’i Tommy Scanlan is the one controlling the economy. 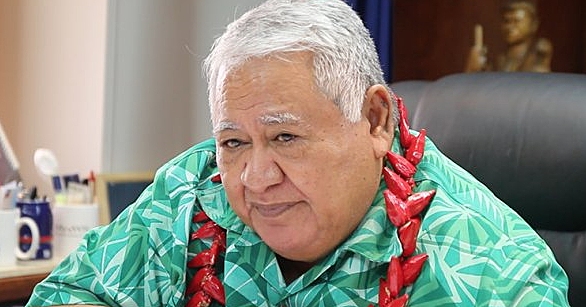 As Governor of the Central Bank of Samoa, Papali’i is the government’s right hand man in monetary matters, whose unenviable job is to prevent the economy from tipping over. And so the forefinger of his right hand rests imperceptibly on the country’s economic button, and in the other hand he holds the strings that control elsewhere, while listening attentively to the advice from his intellect, his common sense. Part of his job is to be aware of the economic trends around the world day by day, forecast the direction of global cash flows, how the world market is behaving and by what cause, and then he uses the knowledge he’s gained to fix overseas-controlled prices, preventing the local cost of living from rocketing through the roof. Papali’i occupies a comfortable office on the sixth floor of the CBS Building on Beach Road, looking out at ships that bring containers of imports into Apia Harbour. He’s a family man who adorns his office with photographs of his children. From that office, he dictates financial movements guided by policies that ensure price stability, and enough foreign reserves to meet the government’s commitments. When we talked yesterday he was optimistic that the CBS has been able to achieve those goals. “Yes we’ve met both commitments”, he said softly, “so there’s no need to tighten our monetary policies any more. But today, he is definitely the man of the moment. He has to be, since economic growth is secure at 5.5 per cent, and the forecast for next year is a healthy 3.5 to 4 per cent. That is a vast improvement from ten years ago when the economy was tottering on the verge of collapse. But then Papali’i came well-equipped for the job. A graduate of Canterbury University in 1977, with a degree in Science and Economics, he started working for Treasury in 1978 until 1981. That was when he took up an appointment with the South Pacific Economic Corporation (SPEC) in Suva, a job he held until 1984. He returned and worked again for Treasury, and in 1985, he joined CBS. 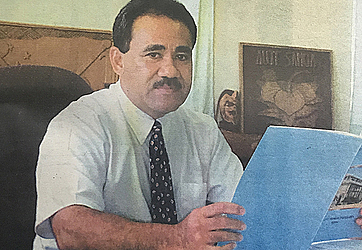 Four years later, he took over as the bank’s Chief Executive Officer, becoming the first Samoan to hold a post that had been held previously by two expatriates, Australian Bill Davies in 1984-87, and Briton John Howard in 1987-89. He was there when the two cyclones broke the country apart in 1990 and 1991, dealing a paralysing blow to the economy. With the copra industry in ruin and the taro leaf blight reducing taro exports to nil, the government was desperate. “And so we realised we had to recover,” Papali’i said. And it was during the recovering process that the “government and people realised we had to change our course. We realised we could not continue to live beyond our means that we had to live within our resources,” So the “basic philosophy” the government adopted then was the promotion of the private sector as the driving force behind the economy. “To do this, the government adopted new tax and tariff policies aimed at strengthening the private sector productivity, reducing public sector involvement in public enterprise by selling government shares in public businesses and thereby reducing current expenditures. By moving away from public sector involvement, the government was able to accumulate “cash surpluses” so that it no longer need to borrow to operate. Before, the government used to borrow from banks using “treasury bills” to finance its budgets, and “for a long time” this system was used. Then in 1998, the government moved away from this system and “we liberalised the financial system,” Papali’i said. This new system apparently created big advantage for the private sector, since entrepreneurs were now able to get enough funding for development purposes. In fact, it “liberalised” lending by 18 per cent over the first two years after it was introduced. Other favourable factors emerging from the new system, is its ability to realise a low inflation rate, which last year was 0.3 per cent, when in 1998 it was 2.2 per cent. Now the latest figures indicate that inflation was 0.8 per cent in late August, “so while the economy is still growing, we are managing to keep still growing, we are managing to keep inflation low,” Papali’i pointed out. Then there are relatively high foreign reserves being derived from the new system. For example, gross foreign reserves in 1998 were $190 million, and last year they were $205 million. At the end of August, they were $204 million or equivalent to 6.5 months of import cover. Another liberalised measure was the removable of controls on imports. Previously, importers had to obtain approval from the CBS pay high fees on letters of credit for advanced payment, bank charges and so forth. All those costs no longer apply, and all the importer does is paying his duty and 10 per cent VAGST at Customs. In addition, the 1 per cent levy on the purchase of foreign exchange has been removed since 1998. “We abolished all that, “ Papali’i explained. “The only permit an importer has to pay is the one from the Ministry of Transport. 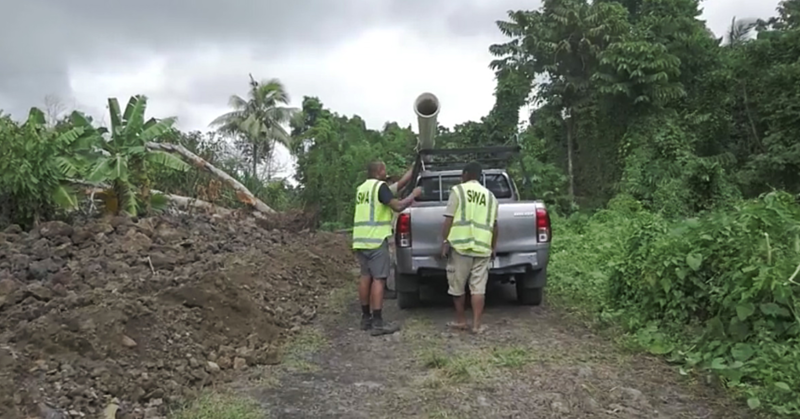 “And so, we’re doing pretty well,” said Papali’i. “While the economy is still growing at a very favourable rate, inflation is down. We just have to keep our fingers crossed” that no cyclones will strike in the wet season. As for his office’s relationship with the banking system, Papali’i said all was well. On his achievements, he said: “I think the economy has come a long way. We have been able to maintain price stability, there is enough foreign exchange, and what we need to do is ensure the economy continues to grow at a sustainable level of around 4 per cent. “(Anything) higher would put the pressure on domestic resources, and could see inflation grow at an unsustainable rate. “Four per cent inflation per annum would maintain price and financial stability. Looking from outside, we are the top in the Pacific region in terms of economic growth, price, financial and political stability.